Getting stuck on the side of the road is simply not an option for your business. Fife Service & Towing understands the importance of getting immediate assistance when your business truck, van, semi, or fleet vehicle has broken down. We respond quickly so you can get back to work. Call now for an experienced, certified towing professional for your 24-hour commercial towing in Lakewood or the surround South Sound area. 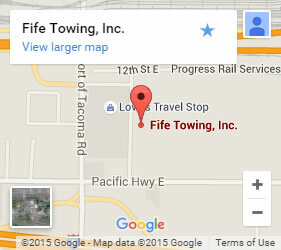 Fife Services and Towing has a full range of towing vehicles to address any type of problem. From cranes to flatbed tow trucks, we can handle underwater recovery, vehicles stuck in mud, as well as those stuck in a tight spot. Our well-trained and experienced professionals have the problem-solving skills to help with any type of roadside assistance. Our 24-hour dispatcher gathers all the specific details from you, so we are sure to send the nearest tow truck, prepared with everything you need. 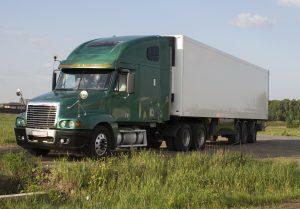 We also offer storage services for your cargo if your truck needs to spend time in a repair shop. Our comprehensive towing services take care of all your needs when you encounter a problem along the road. Don’t wait another second! Get a certified towing professional out to help now!